Barcelona/Sanaa - Following the 15 August aerial bombing of Abs hospital in Hajjah governorate, which killed 19 people and injured 24, MSF has decided to evacuate its staff from the hospitals it supports in Saada and Hajjah governorates in northern Yemen: Haydan, Razeh, Al Gamouri, and Yasnim hospitals in Saada, and Abs and Al Gamouri hospitals in Hajjah. The attack on Abs hospital is the fourth and deadliest on any MSF-supported facility during this war and there have been countless attacks on other health facilities and services all over Yemen. Since the suspension of peace talks between the Saudi-led coalition and the Houthi forces in Kuwait 11 days ago, the coalition has resumed an intensified campaign in northern Yemen. 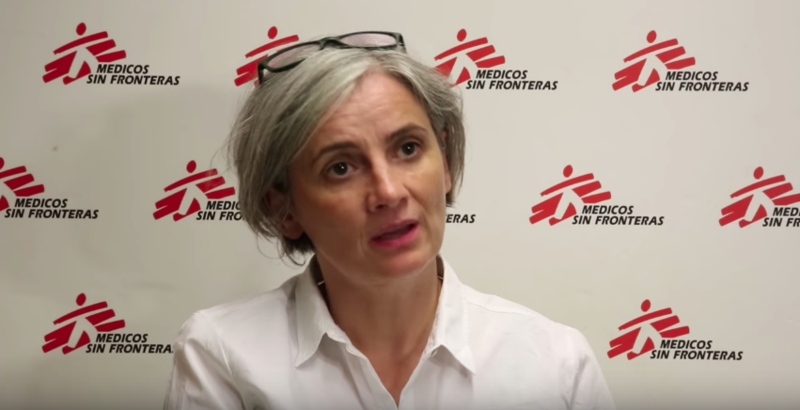 Over the last eight months, MSF has met with high-ranking Saudi-led coalition officials on two occasions in Riyadh to secure humanitarian and medical assistance for Yeminis, as well as to seek assurances that attacks on hospitals would end. Aerial bombings have, however, continued, despite the fact that MSF has systematically shared the GPS coordinates of hospitals in which we work with the parties involved in the conflict. Coalition officials repeatedly state that they honour international humanitarian law, yet this attack shows a failure to control the use of force and to avoid attacks on hospitals full of patients. MSF is neither satisfied nor reassured by the Saudi-led coalition's statement that this attack was a mistake. Given the intensity of the current offensive and our loss of confidence in the Saudi-led coalition's ability to prevent such fatal attacks, MSF considers the hospitals in Saada and Hajjah governorates unsafe for both patients and staff. The decision to evacuate the staff – including obstetricians, paediatricians, surgeons and emergency room specialists – from a project is never taken lightly, but in the absence of credible assurances that parties to a conflict will respect the protected status of medical facilities, medical workers and patients, there may be no other option. Based on recent events, this is the case in Hajjah and Saada governorates. An MSF nurse and emergency room supervisor working in Abs hospital in June 2016. The hospitals that MSF supports in Saada, Haydan, Razeh, Abs, Yasnim and Hajjah will continue to operate with staff from the Ministry of Health and volunteers. These hospitals are already struggling to keep up with the medical needs caused by the renewed bombing campaigns and the acute needs created or exacerbated by the numerous shortages Yemenis are trying to endure. MSF asks all parties to ensure the safety of these hospitals and to allow them to continue to provide medical care with neutrality and impartiality. MSF deeply regrets the consequences of this evacuation for our patients and our Yemeni Ministry of Health medical colleagues who will continue to work in the health facilities under unsafe conditions. We hope that the security situation will improve so that the population will have some respite and MSF teams will be able to return to providing much-needed medical care. MSF regrets the collective failure to protect Yemeni civilians from military action and also the failure to help them with adequate humanitarian response. MSF condemns the way all involved actors – the Saudi-led coalition, the Houthi and their allies – are conducting this war and carrying out indiscriminate attacks without any respect for civilians. MSF wants to once again offer its most sincere condolences to the families of our staff and the patients who died during the attack. That medical staff and sick and injured people are killed inside a hospital speaks of the cruelty and inhumanity of this war.